This is a great chart for teachers or students to self monitor their behaviors. For each day of the week there is a spot for up to three behaviors for the student to work on (more than 3 is to much for a student to work on improving). 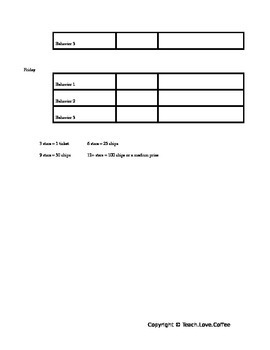 The teacher or student can add stars or tally marks to keep track of how they are doing. 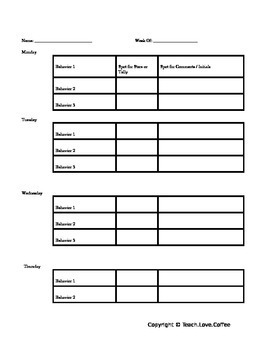 At the end of the week the teacher and student can go over the chart together.